In this stirring collection of linked stories, Linda LeGarde Grover portrays an Ojibwe community struggling to follow traditional ways of life in the face of a relentlessly changing world. In the title story an aunt recounts the harsh legacy of Indian boarding schools that tried to break the indigenous culture. In doing so she passes on to her niece the Ojibwe tradition of honoring elders through their stories. In "Refugees Living and Dying in the West End of Duluth," this same niece comes of age in the 1970s against the backdrop of her forcibly dispersed family. A cycle of boarding schools, alcoholism, and violence haunts these stories even as the characters find beauty and solace in their large extended families. With its attention to the Ojibwe language, customs, and history, this unique collection of riveting stories illuminates the very nature of storytelling. 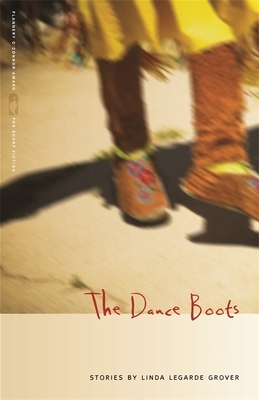 The Dance Boots narrates a century's evolution of Native Americans making choices and compromises, often dictated by a white majority, as they try to balance survival, tribal traditions, and obligations to future generations. LINDA LeGARDE GROVER is a member of the Bois Band of Ojibwe and a professor of American Indian studies at the University of Minnesota, Duluth. Her novels, stories and poetry have received the Wordcraft Circle of Native Writers & Storytellers Fiction Award, the Minnesota Book Award, and the Red Mountain Press Editor's Award. Her memoir, Onigamiising: Seasons of an Ojibwe Year, continues in essay form her research and writing on Ojibwe families and their connections to land, history, and tribal communities. LeGarde Grover lives in Duluth, Minnesota, near Lake Superior, with her husband and near her children, grandchildren, and large extended family.